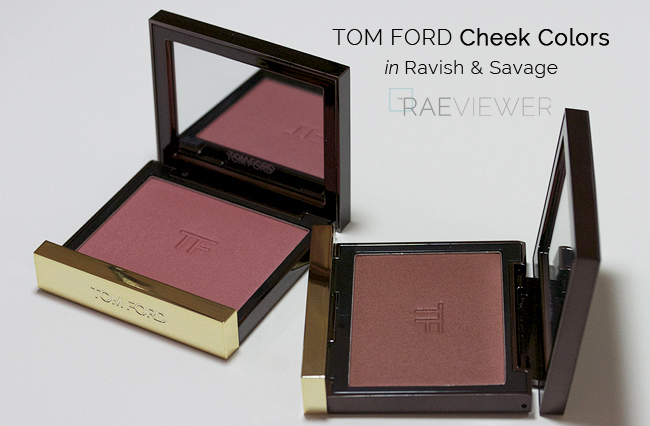 Tom Ford Cheek Colors in Savage and Ravish, $56 USD each, have taken me by surprise. I initially figured these bold colors would look too dramatic against my light-medium coloring. After playing with the pigment, however, I have discovered these provide a more edgy and interesting look to my makeup. I generally tend to prefer pale pinks or soft peaches blushes, but these two are more wearable than you would think. 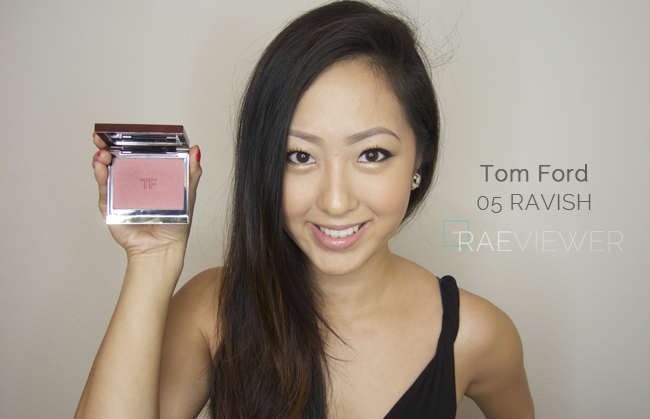 Check out full face swatches after the jump! 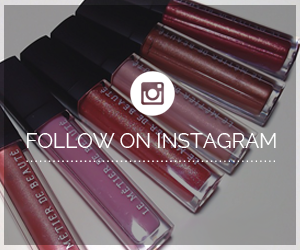 These luxurious blushes are highly pigmented but silky smooth. 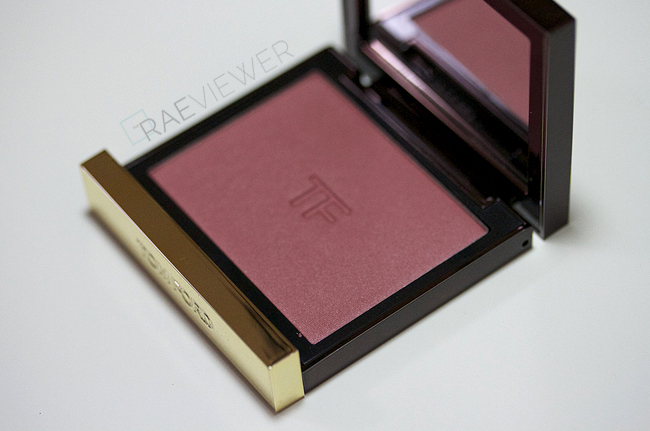 The Tom Ford Cheek Brush [reviewed HERE] works best with this powder, though I personally find these Cheek Colors so flawless that the formula blends well with any of my blush brushes. 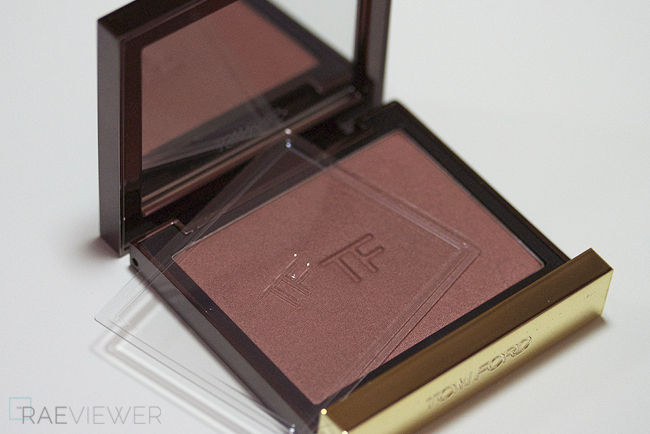 Only a tap of the pan is required for a long-lasting, full coverage blush look. Ravish is a rich, rosy red with fuchsia and blue microshimmer. It looks cooler when swatched on my inner arm, but it pulls warmer on my face. 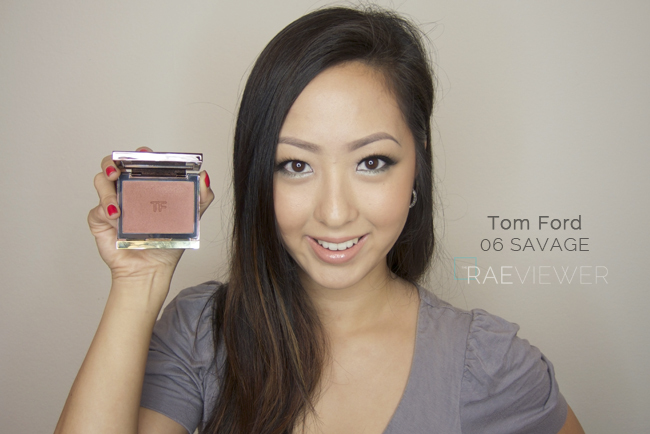 I was surprised to see how well it paired with lighter makeup since it is more bold for a berry. I find this will suit a variety of skin tones and is more appropriate for the office. No highlighter necessary, since it would take away from Ravish's beauty. Note: It is more pink and more shimmery than Savage. Savage is even more intriguing than Ravish. Savage is a brick red that leans orange and is actually flattering. The texture is ultra fine. Some recommend trying it as an all-over bronzer since has less shimmer than other Cheek Colors, but I discourage that since Savage is not cool or brown enough. It will actually look like a rash or sunburn -- especially on fair skin -- so disregard how deep it looks in the pan and resist the urge to apply it as a bronzer. Copper shimmer has a tendency to cast a muddy tint to the skin, but it actually amps up the sunkissed effect of Savage by casting an lit-from-within amber glow. 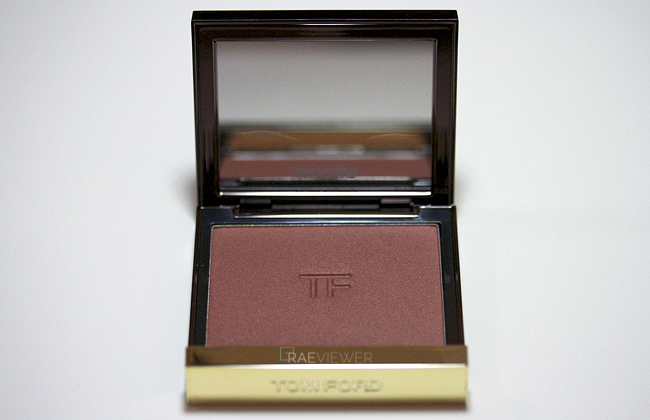 The warm base of the color makes it look radiant, which is why I prefer to use this strictly as blush. You can purchase Ravish and Savage at Bergdorf Goodman, Saks Fifth Avenue or Neiman Marcus. 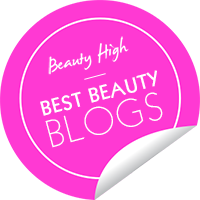 Bottom Line: They may look similar on my face in photos since I prefer the more subtle blush effect, but they are both unique and memorable blushes that are definitely worth the investment! 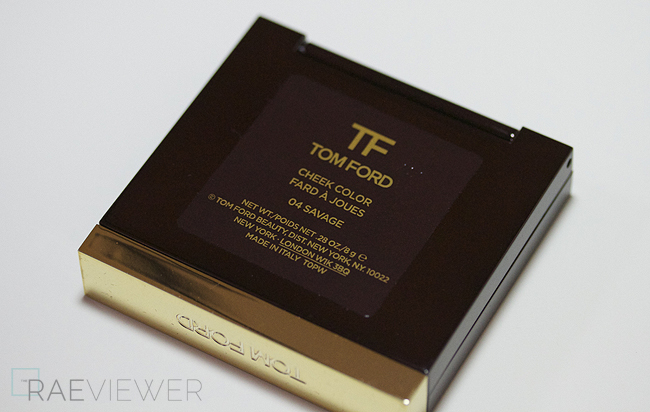 Love your Tom Ford reviews - I am seriously tempted. Do you have the blush in Wicked and if so, what do you think of that? Yup, I like it. It's very sparkly, though! 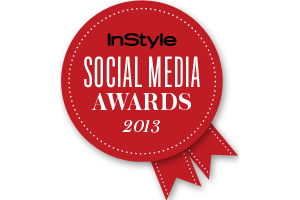 I will review it with Frantic Pink next week! Although I don't wear MAC, I was matched to NC15. 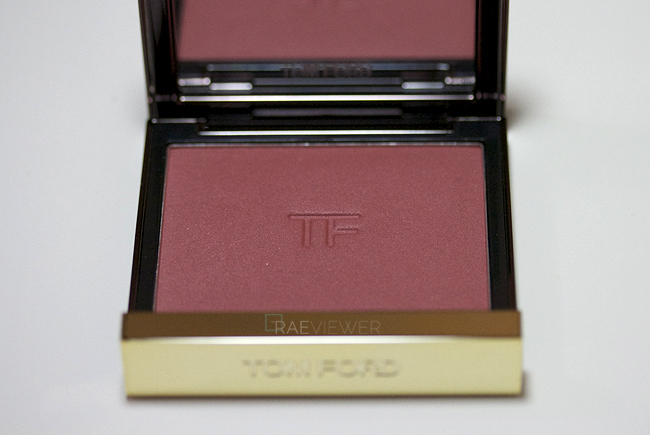 I own Love Lust, Wicked, and Frantic Pink and never cease to be delighted by how versatile TF's blushers are. They can be applied with a fan brush for just a whisper of color or applied with a more conventional blush brush to amp up the color. Whatever application is used, though, these saturated colors remain true throughout the day. I also love the soft glow that the blushers produce without being sparkly so that they are appropriate day or night. Both those colors look lovely on you, Rae. 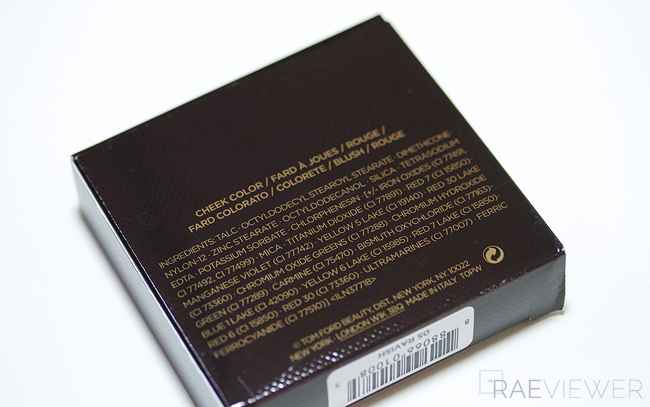 Hi Rae, I love your highlights ravish is such a beautiful color on you it compliments your tone very well btw what brush do you use to put on your D&G powder? I don't use the D&G powder as often anymore, but I would use a MAC stippling brush! Love the colours! I wonder if there are any dupes for this. For the texture, positively not.. these two are so finely milled and apply like no other blushes on the market! Hey Rae, love both shades on you! I'm surprised how soft and natural they look on you. In a good way though! Big fan of Ravage but Savage turned out a lot better than I thought too. I really hope to get my hands on some TF blushes soon! It's easy to go overboard with these two, so it's best to wear them subtly ;) I apply a little to the apples of my cheeks and sweep upward to blend it all in.. too much blush is really harsh in natural light and especially in full sun! We don't want to look as if we have war paint on. And yes, Savage is much prettier and more red on! Another item to add to me shopping list whilst in Hawaii in October. TF is so much more expensive in Sydney and can only be bought from one department store in the city. Hasn't stopped me from buying a bunch of other things though! 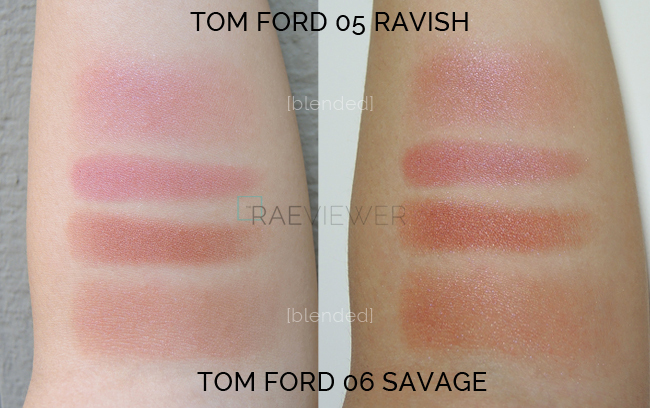 Love that I found this because I was between these two shades, I would prefer a heavier swatch on the face though, but I love your review I am leaning towards savage now, I am light skin nw15 but I do get acne so I am wondering if this color would make my pores look bigger not too sure now.